In olden days many almost everyone used to go to temple and even visitors used to stay in choultries that are associated with temples. Priests who perform daily rituals to the deities used to live near temples. Ponds were used as the main sources of water for all the cleaning purposes of temple, cleaning of deities, drinking and cooking purposes and holy dips both for deities and devotees. Many people used to eat food provided by the temples. 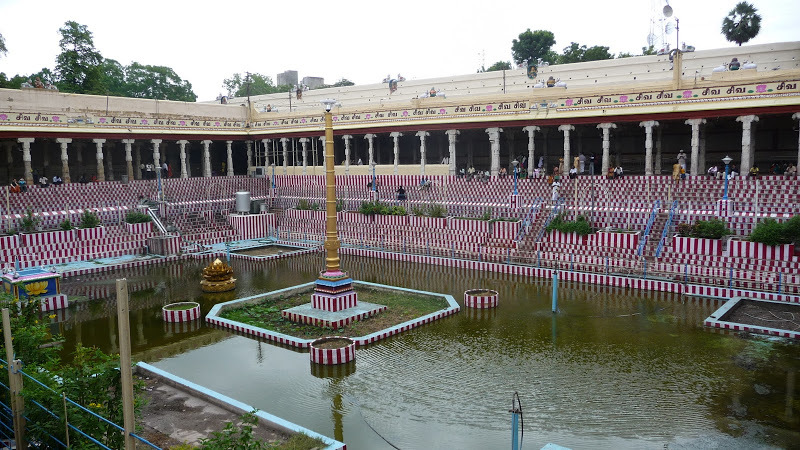 So, holy ponds or teerthams acted as the main sources of water for temples and the society built around them.